A website which will effectively lead to a completely new world where new nescent facts are still floating with the urge to be concieved by any of the curious mind and to blossom in a mogrified way. Many old make us feel week and many new things also make you fed up, lets make yourself embraced with a mixture of ancient, current the prospectives. If you are a smartphone user these problems would be matching with your issues, am I right.?? It is I completely new term, isn't it??!! Well, today's blog of mine will wipe out all your doubts and give you a clear insight of this common problem for the time being. 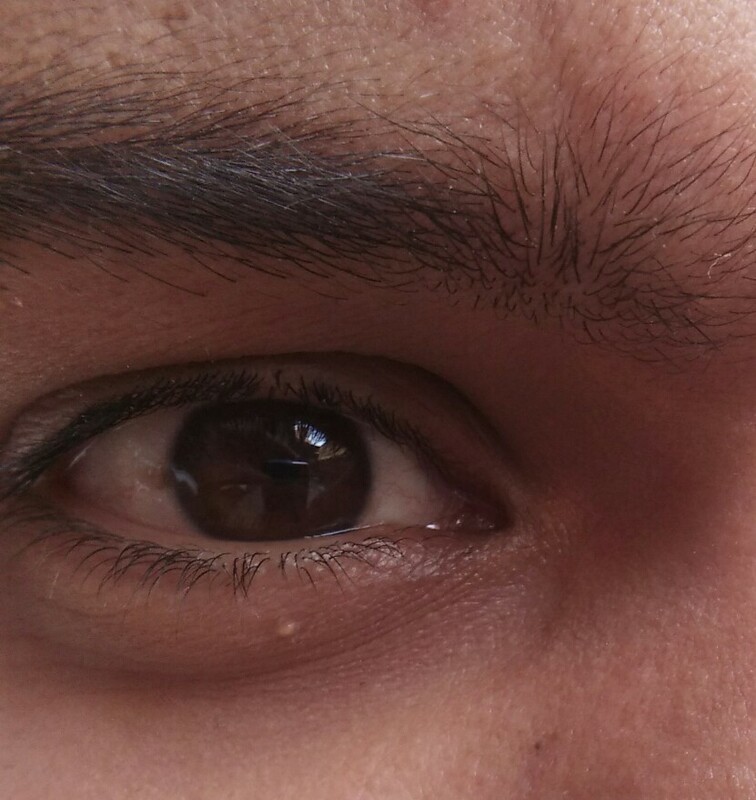 'Dry Eye Syndrome' is the condition of drying up of eyes due to various reasons. The Tear Glands inside our eyes are responsible for creating a layer of liquid film that protects our eyes from germs and keep the lubricated. When the bright light coming out of any type of LED sources, say from an LED bulbs itself, fluorescent lamps, mobile phone's displays, or computer monitors; emmit radiation that starts micro evaporation of Tears from the delicate innocent Eyes. Such UV lights start debilitating the thin tear film and makes eyes open to the outer environment. This gives us a feeling of pain inside our eyes. Only rubbing or washing them will not do. This is an early warning that you either need lubrication or rest for a while so that your eyes may lubricate themselves. If you wash them you can feel relief for a while but as soon as water evaporates you are back to square one. Dry eye syndrome maybe a niggling issue in the beginning, as for many of you it has been a back burner and has gone unnoticed. But with the passage of time this brings on a massive adversity to your sighting. This results into a temporary blindness too. A report says that if one uses a smartphone in the darkness for more than 1 to 2 hours daily, one is at a higher risk to go blind or suffer badly with one's eyes. In this modern era where there is a dynasty of audio and optics all around, one cannot remain untouched from the latest LED inventions, but being little careful one can easily avoid being a prey of modern Pandora's box. A few steps that can be pretty handy for everyone who pampers and loves his eyes. Avoid direct sighting of any type of LED sources. Maintain the least distance of 25 to 30 centimetres between your eyes and your smartphone or computer display. Take a forty winks between the longer uses of computer or phones. Use artificial eye lubricants like Flotears etc., but avoid excessive use of such Eye Drops as they create additional damage to your eyes. Take regular sleep or more than 8 hours that would keep you refreshed and make your body ready to bear the brunt of next microwave radiation and UV attack. Please mention your comment if you find it handy. good research. i find it useful nd knowledgeable. keep it up, great job. Something All The Lovers Should Know. Most authorities agree that St, Valentine is "the lover's saint". However, some writers are inclined to believe that no such person existed, though there appears to be proof that he a Christian Bishop and that he suffered martyrdom under the Roman Emperor Claudius on February 14. The story is that Emperor Claudius issued a decree forbidding marriage. Married men disliked leaving their families to go to war, and they did not make good soldiers, according to the Emperor's notion. Since good soldiers were needed, he decided that marriage had to be abolished.